Carbonic acid formation, 3 of 3. Carbon dioxide (CO2) gas is bubbled through water that has universal indicator added. Initially the water is green, indicating a neutral solution. 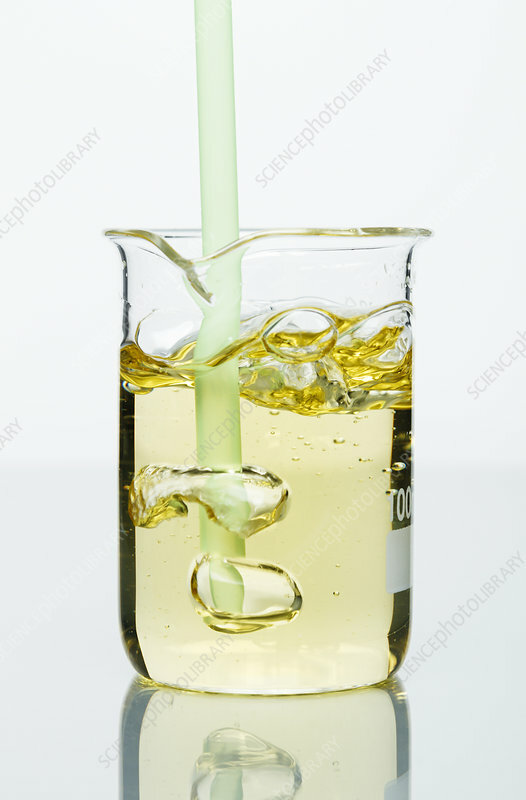 As some carbon dioxide is dissolved in the water, weak carbonic acid (H2CO3) is formed and the colour of the solution turns yellow, indicating a weakly acidic solution. The reaction is CO2 + H2O -> H2CO3.